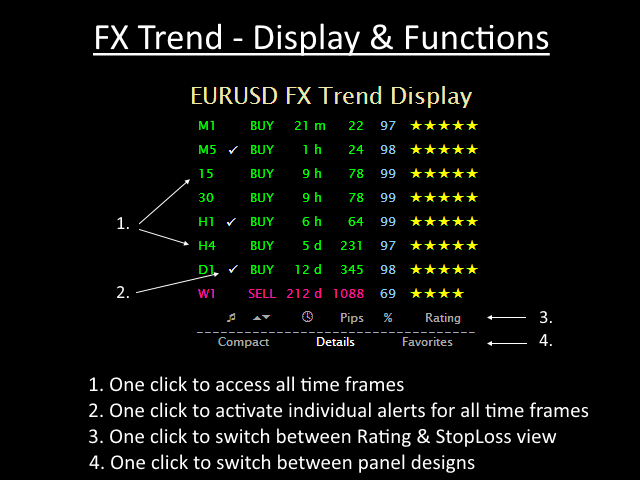 FX Trend free displays the trend direction, duration, intensity and the resulting trend rating for all time frames in real time. You'll see at a glance at which direction the trends are running, how long they last and how powerful they are. 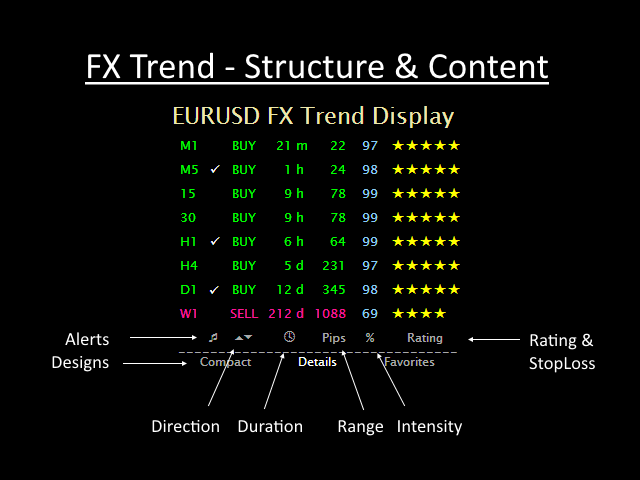 All this makes it an easy-to-use trend trading system for beginners, advanced and professional traders. 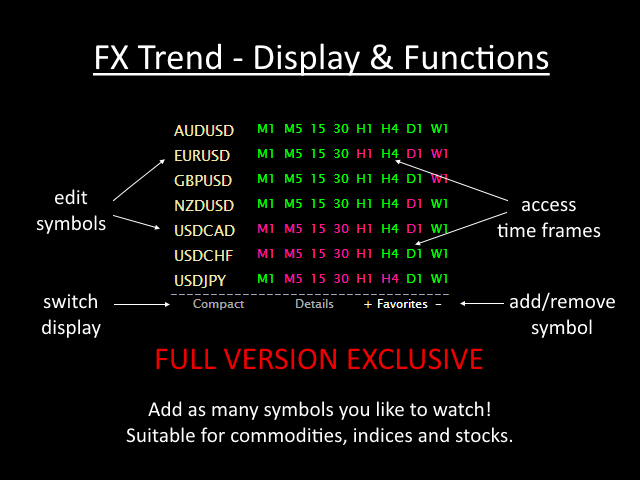 FX Trend free is a feature limited version of our unique trend analysis masterpiece FX Trend. 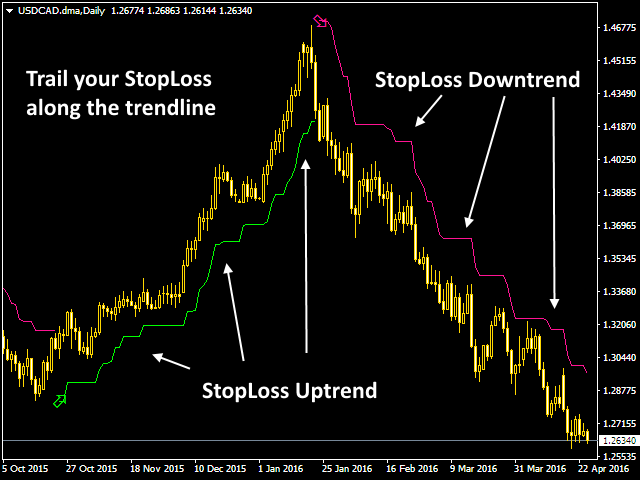 How to trade with FX Trend? A D1 trend with a duration of 10 days and a high intensity of at least 85 % which is equal to a 5 star rating. This major trend points the direction of all further trades at this and all lower time frames. Use the power of the strong forces in the market and surf this trend wave until it breaks. It works good but needs other indicator to work better. Thanks Daniel.